Get Ready- Mobile Ticketing Is Here for the 2018 Football Season. All 32 National Football League teams are adopting mobile ticketing for the 2018 season. 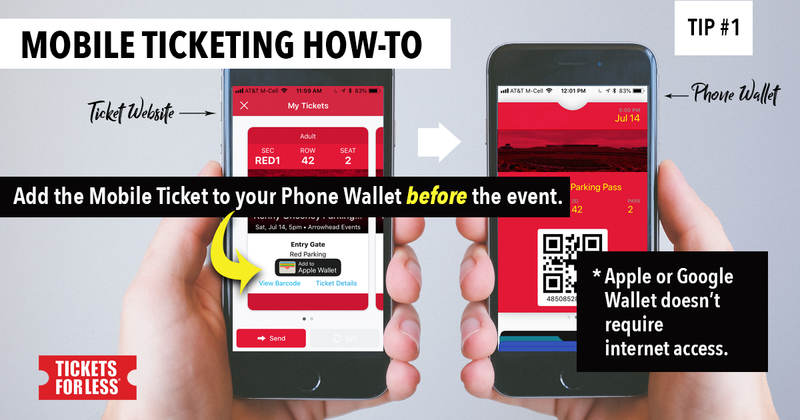 Instead of hard stock (physical) tickets, customers will have a digital ticket that lives on a user’s phone inside the smart phone’s wallet or on the Chiefs Ticketmaster app. 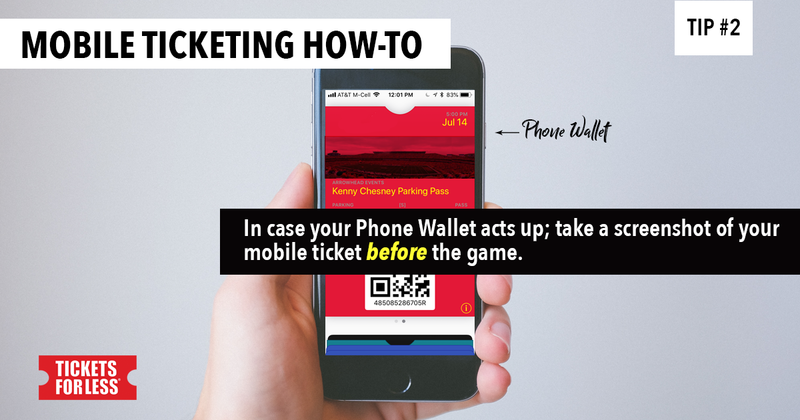 If you plan to attend an NFL game this year, the majority of tickets will be scanned off your smartphone to gain entrance into the game. If you don’t have physical, hard stock tickets which are only available to a small amount of season ticket holders, it is required to create/log-in to a mobile ticketing app to access your ticket(s). Please note that parking passes are mobile-only as well. Customers that are used to printing PDF tickets will no longer be able to gain entry using this method- as only mobile QR codes will be valid. Any printed ticket will not accepted at the gate. In other words, your mobile phone/smart device is your ticket. A: Use the same email address and password that you used to log in to the previous version. A: Yes. All of your tickets will appear on your phone. The ticket taker will “swipe” and scan each ticket for entry. If you wish to share the tickets, you can do so by texting a screen shot of your tickets or sharing them via the wallet. A: Tickets For Less is PCI compliant, giving you the highest available security to ensure that your account information is completely secured and protected. Q: What is the cost for managing tickets online? A: Managing tickets online is free. There are no costs to view your Chiefs tickets or parking. Q: Can I manage my tickets on game day? A: Yes, you may view barcodes on your smartphone or transfer tickets online (on the Team’s TicketMaster App) up through the start of a Chiefs game. Q: If I would like further help understanding managing tickets, who do I contact? E-mail Sales@ticketsforless.com or call 913-865-3322. Occasionally a smart phone’s wallet may glitch. If you cannot find your tickets but you have already accepted the tickets, we have a fallback plan for you. Here are step-by-step instructions for you to follow in order to see your accepted tickets. We do advise you do this before reaching Arrowhead Stadium. With over 50,000 people in the area, smart devices may not be at full capacity.